Here are a selection of links that you may find of interest – from places where you can buy our bread through to websites of local interest. 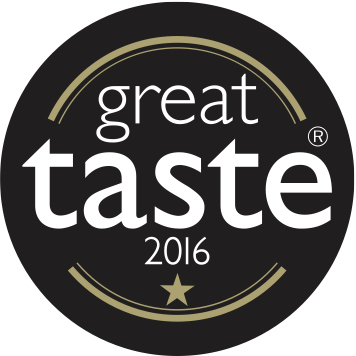 The finest deli to be found in the Dorchester area, offeirng an impressive range of the best quality cheeses as well as chutneys, olives and other award-winning artisan foods. Also stockists of the finest Isle of Wight Heritage tomatos which must be tasted to be believed. Set in the heart of the old market town of Sturminster Newton, Holebooks offer a range of fine food from accross the local area. Their knowledgable﻿ and friendly staff are always on hand to offer advice on items from their deli including a range of our breads. Situated in the picturesque village of Abbotsbury, Bride Valley Farm Shop sells traditionally reared meat and poultry, along with other locally produced delicacies – such as our bread which is delivered every Tuesday, Thursday and Saturday. Situated in Child Okeford, near Shillingstone in Dorset, offering a wide variety of organically grown vegetables and British beef products. Certified Organic by the Soil Association, the farm has been Organic since 1988. All produce can be purchased directly from the onsite farm shop. Leakers deliveries on Wednesdays and Fridays. We are delighted that Home Farm Shop in Tarrant Gunville, the treasure store of fine foods, are now stocking our bread. As well as their own free-range livestock and home cooked meals, Home Farm Shop pride themselves on stocking a wide range of foods from across the region. Based in Sturminster Newton, Dorset, Olives et Al produce a range of great foods (not just olives) – food which tastes and looks just the way it should without using artificial colours, flavourings or preservatives. They use the finest ingredients, original recipes, minimal and elegant packaging to make some of the best food you are ever likely to taste. Leakers deliveries on Fridays. Owned and run by a professional chef, Cafe Bean in Bridport offers a friendly, quality service with a varied seasonal menu, using local and fairtrade producers and suppliers. Situated on the main road in Cherhill, nestled amidst the rolling hills of Wiltshire beneath the famous White Horse and Landsdown Monument. The perfect resting place for walkers and explorers alike Divine Cafe serves both the busy local community and visitors to the area. Leakers bread delivered each Wednesday. Overlooking the harbour in Lyme Regis Hix Oyster & Fish House boasts stunning panoramic views across the Jurassic coast and is easily one of the most picturesque spots to enjoy fresh British seafood. The informal, light and airy dining room has simple white wooden tables and chairs while the focus is on sourcing and serving the best seafood and doing as little to it as possible so that you enjoy the real flavour of great British ingredients. Fresh, locally inspired food for busy people in Dorchester's excellent independent department store. Freshly made, delicious and locally inspired food - made on the premises. Hot filled rolls, delicious home made soup, sandwiches and salads and jacket potatoes, thick shakes and ice cream. A recently refurbished four bedroom Regency hotel situated in the coastal village of Charmouth at the heart of the World Heritage Jurassic Coastline. 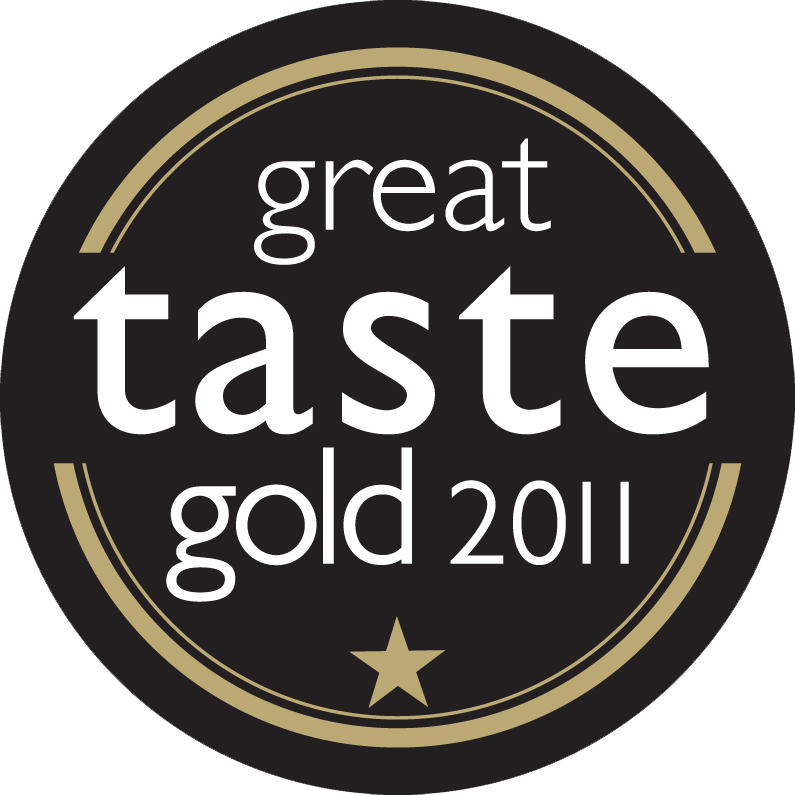 The award winning restaurant uses only the best of local and seasonal produce. Stoneground flour millers since 1832, Stoates Cann Mills in Shaftesbury provide us with a range of superb flours – essential ingredients when creating our breads and cakes. 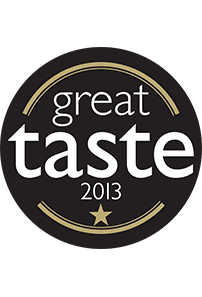 Award winning goat and cow cheese manufactured and supplied by a small family run business. All Woolsery cheeses are handmade using traditional methods and the finest fresh milk. This website is a single point of information for businesses, residents and visitors of Bridport. Includes News, Business Directory, Events and much more. Bed & Breakfast in a beautiful, secluded 17th century listed farmhouse, peacefully nestling in the heart of Dorset's Thomas Hardy Country. Open all year, a warm welcome awaits you at Higher Came Farmhouse. Mark Hix's restaurant overlooks The Cobb in Lyme Regis with uninterrupted views of the Jurassic coastline and the fishing port, where John Fowles’ The French Lieutenants Woman was filmed. A 17th century farmhouse available for B&B or as a self-catering holiday let. Situated in its own valley with an orchard and gardens, and only 2 miles from the Jurassic Coast. We're huge fans of Oleo – delicious smelling, effective beauty products made locally by aromatherapy expert Olivia Chapman. Bridport-based Hungry Mule cater for intimate dinner parties, large wedding receptions, canapé events and barbecue parties. They source creative food for any occasion to suit taste and budget. The River Cottage website is an ideal resource for local food matters; news and events; cookery courses and recipes; as well as Hugh Fearnley-Whittingstall's thoughts and advice. Step in off the bustling market streets of Bridport and discover the wonderful world of the Bull Hotel. Easy-going, informal and bursting with life, this former 17th century coaching inn has been lovingly restored and oozes eclectic style and contemporary rustic charm. Theres plenty to like about our part of West Dorset (and beyond!). Here's a few of our favourites. Overlooking the harbour with stunning panoramic views across the Jurassic coast and is easily one of the most picturesque spots to enjoy the best of British seafood. beach and the wide expanse of Lyme Bay is an oasis of relaxed sophistication. bar and eight luxurious bedrooms all with a view of the sea. A recently refurbished four bedroom Regency hotel and award winning restaurant situated in the coastal village of Charmouth at the heart of the World Heritage Jurassic Coastline. The newest kid on the Bridport restaurant block. Small plates with big flavour using 100% Dorset ingredients. A whole host of East Asian inspired street eats including great fried and steamed dumplings. The original home of the Woodhouse family (Hall & Woodhouse) the Fox Inn is situated in the pretty village of Ansty, right in the heart of Dorset. Chef Jim and the team serve delicious, fresh meals using locally-sourced ingredients. Visit on Sundays for a delicious carvery! The freshest and best ingredients from local suppliers are on the menu at Yalbury Cottage. Head chef Jamie creates intricate, flavourful dishes which are bound to wow you over and over again. For a truly special dining experience, Yalbury Cottage is not to be missed. Jaap and Hannah welcome you to their dog, child and muddy boot-friendly pub! 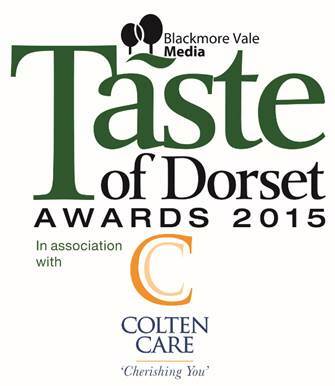 Visit for home-cooked meals which use the best of Dorset's local produce. Part of the brilliant Sausage & Pear catering company, the Station Kitchen offers a unique dining experience. Visit their converted railway carriage and station waiting room for some of the best cocktails and food around. This cosy restaurant serves cooked breakfast, lunches, dinners and Sunday roasts! Pop in for coffee and cake, or sample one of head chef Chris' range of homemade gluten free treats. Founded by father and daughter team Murray and Emily, this family run cafe in Dorchester offers delicious breakfasts, lunch and afternoon tea using local produce. They also cater for weddings and other special events! Since 1880 Longman's have been producing & sourcing a great variety of cheese, cream and other delicious dairy products. They make their own tasy cheddar at their HQ in the heart of Somerset. Palmers have been operating in Dorset since 1794, producing a range of ales using traditional brewing methods. Their 200 Ale makes an appearance in our famous Cheese, Chilli & Beer bread. Husband and wife duo Karl and Chrissy run this truly delicious Dorset-based business. They create award-winning chutneys, jams & curds in small batches, using locally sourced ingredients where possible. West Dorset Beekeper's Association The association supply us with their delicious honey, which can be purchased in our shop. Our current honey stock comes from hives less than a mile away. Step in off the bustling market streets of Bridport and discover the wonderful world of the Bull Hotel. Easy-going, informal and bursting with life, this former 17th century coaching inn has been lovingly restored and oozes eclectic style and contemporary rustic charm. Run by the Bridport Local Food Group with the aim of supporting producers and promoting local food the event is a much loved fixture in Bridport’s food calendar, regularly attended by over 3000 visitors.